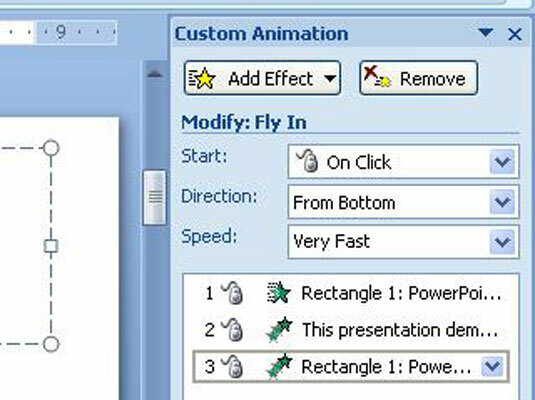 Most PowerPoint animations are initiated by mouse clicks. 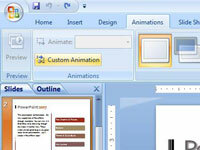 However, you can set up PowerPoint animations to activate automatically in a sequence or all at the same time. 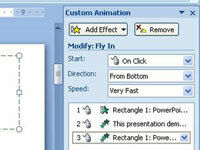 The first trick to controlling animation timing is to list the effects in the custom animation in the correct order. 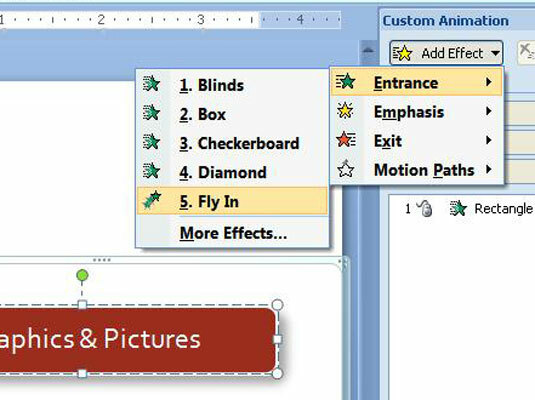 Effects are added to the list in the order you create them, but you can reorder them by dragging the effects up or down in the Custom Animation task pane. 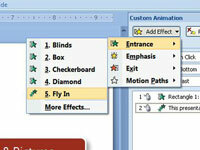 1Click the Animations tab on the Ribbon and click Custom animations. 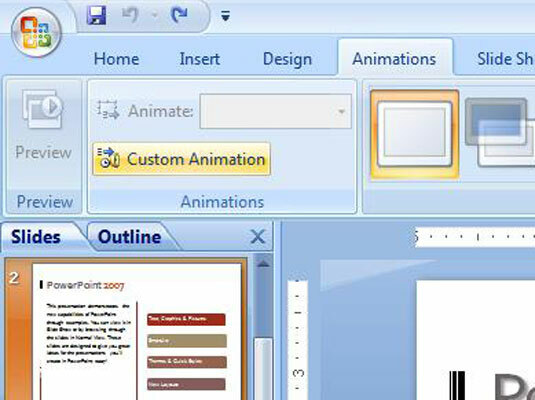 The Custom animations task pane opens. 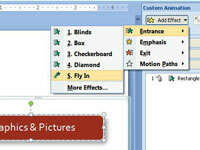 2Add a Fly-in Entrance effect for the first object. 3Change the Fly In entrance effect second object. 4Add a Fly In entrance effect for the final object.